One of the great Chiefs of the Shawnee Indians was Cornstalk, pictured at the left. 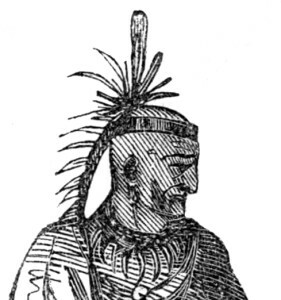 Chief Cornstalk was described as a handsome man with a charismatic personality. He was a great warrior, extremely proficient orator, brilliant organizer, and was admired by both his enemies and his tribe for his cunning strategy in warfare. He led a Confederacy of Tribes against the encroachment of the white settlers, trying to get the indians to leave their lands and to protect their sacred hunting grounds in Virginia, Kentucky, and Ohio. It is his death that defines Cornstalk as being a true Native American Hero. 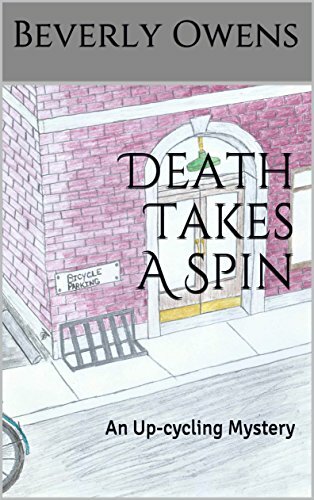 His last words, as he lay dieing, were a curse placed upon the area where he was murdered. Modern day Point Pleasant, West Virginia has many residents who believe the curse was and is real. The area does have many incidents which have occurred over the last 200 years that do seem to be related with Chief Cornstalks last words. Born around 1720, most probably in Pennsylvania, Cornstalk and the Shawnee were pushed west to the Ohio Country when he was a young boy. Little is known about Cornstalk until about 1763. This account tells of the warrior leading a band of about 60 Shawnee into Greenbriar County, Virginia. The Shawnee were quite upset about the constant advancement west of the white settlers. In an attempt to get them to leave, it is reported that Cornstalk and his band befriended the settlers and then murdered everyone at Muddy Creek and then some 50 others at Clendenin Settlement in June of 1763. Cornstalk and the Shawnee sided with the French in the French and Indian War. They feared the English would continue to advance into the Ohio Country and they needed to be stopped. In 1764 the Shawnee were defeated by Colonel Henry Bouquet. Cornstalk was taken prisoner so that the Shawnee would sign the treaty. They agreed to not fight the English again. For the next decade there was fighting between the English and the Ohio natives. The constant arrival of more white settlers caused much tension. Cornstalk tried to ease the situation peacefully but he was in the minority by 1774. On May 3, 1774, English colonists murdered 11 Mingo Indians. Retribution was demanded by the Mingo and the Shawnee people. Cornstalk promised to protect the English fur traders because they were innocent of this crime. The British decided to increase military presence by building more forts and to allow more white settlements to be built which enraged the Shawnee even more. 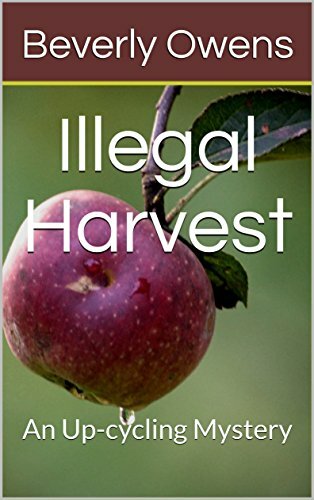 The British began to destroy entire villages and the life sustaining crops of the villages. The thought seemed to be that the natives would just give up and move farther away. At this time, Cornstalk began to have a change of heart about the white settlers. Lord Dunmore sent 1000 men to build a fort in what became West Virginia to attack the Shawnee. Cornstalk sent 1000 warriors to drive Dunmore’s forces out. On October 10, 1774 the Battle of Point Pleasant took place between Dunmore’s troops and the Shawnee. As Dunmore drove the natives north of the Ohio River, he asked that a discussion for a peace treaty be started. While discussions were going on, Colonel Andrew Lewis crossed the Ohio and destroyed several villages. Fearing that Dunmore planned to destroy them, the Shawnee agreed to the terms of the treaty. They gave up all lands east and south of the Ohio River, released captives, and promised not to attack colonists traveling down the river. Cornstalk, a man of his word, abided by the treaty for the remainder of his life. 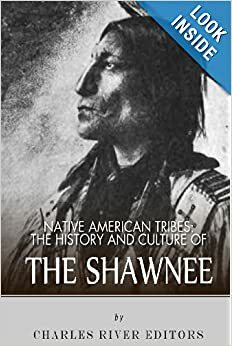 By 1777 the Shawnee were urged by the British to drive the white settlers out of the region. The American Revolution had begun and the British wanted the help of the Shawnee. Cornstalk and one of his sons went to Point Pleasant to warn the Americans of the impending attack. Cornstalk was treated well and even began helping the Americans make maps and strategy for defeating the approaching enemies. A report came into the fort that some Shawnee had killed an American soldier. Seeking revenge the colonists killed Cornstalk on November 10, 1777 along with his son and other natives that were in custody. Before he died, Cornstalk uttered what has become known as “The Curse of Cornstalk”. Did his people call him Cornstalk? His name has been recorded as Hokolesqua, Colesqua and Keigh-tugh-qua in the languages of the Native Americans and was freely translated by the white men to mean “blade of corn” and became known to most as Cornstalk. 1907: Coal mine disaster in Monogah, West Virginia. There were 310 miners who lost their lives in what is known as the worst coal mine disaster in America. 1944: 150 people lose their lives when a tornado tears through the tri-state area in June of 1944. 1967: Disaster at Silver Bridge causes 46 people to fall into the Ohio River losing their lives. This December 15th tragedy has been connected to the Mothman Curse with people saying they say the Mothman and reporting strange lights in the sky. Other paranormal events were also reported. 1968: 35 people are killed when the Piedmont Airlines plane crashes near Kanawha Airport in August of 1968. 1970: Southern Airways DC-10 crashes into a mountain near Huntington, West Virginia on November 14. There were 75 people killed in this tragedy. 1976: An explosion at the Mason County Jail causes the town of Point Pleasant to shake in the middle of the night. On that March night the husband of Harriet Sisk came to the jail with explosives hidden in a suitcase. His plan was to blow up his wife and himself. His attempt was successful while he also took the lives of three law enforcement officers. Harriet was in the jail facing charges of murdering her infant daughter. 1978: Chemicals contaminate the town of Point Pleasant’s water supply and wells in January due to a freight train derailment. 1978: The collapse of some construction scaffolding causes 51 men to die at the Willow Island power plant. This tragedy occurred in St. Marys which is north of Point Pleasant during the month of April. There have been many strange events since Cornstalk’s curse was uttered. Fires and floods that could happen anywhere but there were two floods that almost completely wiped out Point Pleasant. On in 1913 and the other in 1937 could be considered just a hazard of river life. Was the barge explosion just before Christmas in 1953 connected or just something that would have happened anyway? Did Cornstalk cause the destruction of an entire city to be burned in the fire that occurred in the late 1880s? Did Chief Cornstalk and his curse cause the local economy of Point Pleasant to decline from dwindling river traffic and commerce or was that a natural turn of economics? Is the curse of Cornstalk real? It is difficult to say but there are so many really tragic events that it does make one wonder. Reports of eerie lights, sightings of the Mothman, and other strange tales makes one wonder if the utterings of a disappointed and angry Shawnee Chief have lasted over the span of time to curse the area.